With nominations in excess of 30 competitors coming from across Australia to compete for this prestigious title including current Victoria 1 Aiden Raymont coming down from Queensland to try to hold onto his crown. After a long and busy season the ‘mods’ have put in a ton of laps at tracks across the country and it has taken a toll on some of the cars but all the teams are working overtime to be ready. 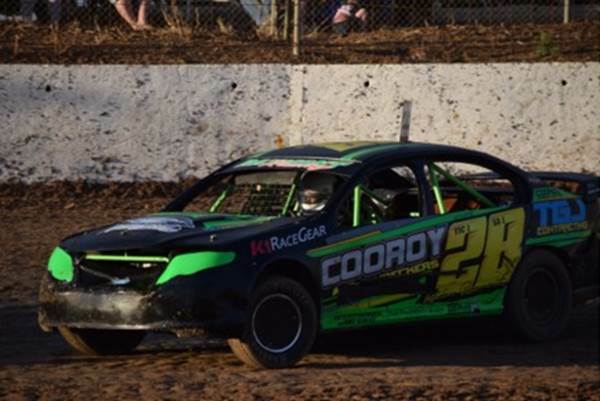 Pictured above: CHAMPION: Vic 1 Aiden Raymont will be making the long trip down from Queensland in an attempt to retain the #1 Photo Courtesy M&L Speedway Photography. With Raymont wanting to hold onto his title and any number of challengers aiming to bring the title back to its home. With issues at the last round of the VMPA series the cars of Daniel Simpson, Matt Gerlach and the super fast little LJ Torana of Graham West have had a lot of shed time to iron out the wrinkles from various bumps and bangs but have all got their eyes on the target. Not to be outdone the cars of Micheal Hayden, Aaron Bunton and Kye Walters, are not to be ignored.